This post by Vanessa Janek originally appeared at Universe Today. It has been republished by permission. 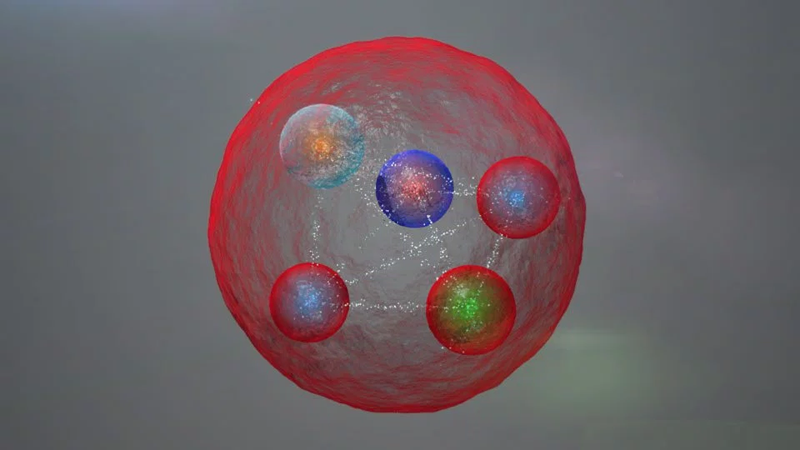 Top Image: The pentaquark, a novel arrangement of five elementary particles, has been detected at the Large Hadron Collider. This class of particles may hold the key to a better understanding of neutron stars and the Universe’s strong nuclear force. Credit: CERN/LHCb experiment.